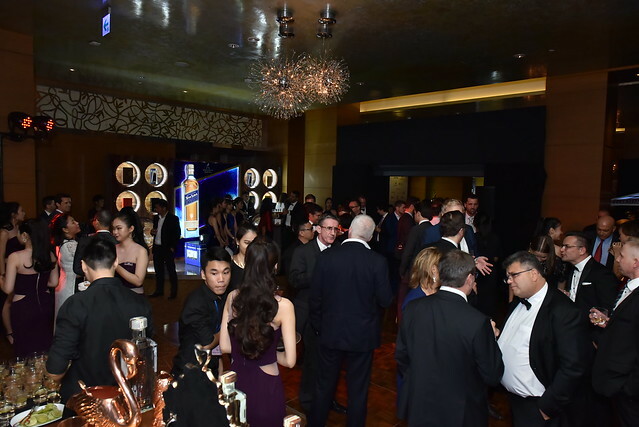 In the evening of 16 November 2018, nearly 600 business leaders, investors and ambassadors from across Europe gathered at the InterContinental Hotel to celebrate two decades of EuroCham in Vietnam with a special Gala Dinner. This Gala Dinner was the highlight of the European business calendar in 2018. And it attracted some of the biggest and most successful companies as enthusiastic sponsors. Enterprises from a wide range of industries supported the event, including banking (BNP Paribas), insurance (HDI and PVI), motorcycles (Piaggio) and wines & spirits (Moet Hennessy, Diageo and Pernod Ricard). The calibre of companies attending this event, alongside ambassadors from 10 European countries and representatives from the People’s Committee of HCMC and VCCI highlighted the success of EU-Vietnam trade and investment over the last few decades and EuroCham’s crucial role in this blossoming relationship. Since its formation in 1998, EuroCham has been an essential bridge between Europe and Vietnam, helping to build new relationships between domestic and foreign business communities, representing the voice of business to the Government of Vietnam and the highest levels of decision-making in Europe. In recognition of this important work, EuroCham has received a number of honours, including a ‘Certificate of Merit’ from the Prime Minister of Vietnam at the ‘30 Years of Foreign Direct Investment’ conference in October in Hanoi. The Chamber is also a proactive member of the Advisory Council for Administrative Procedures Reform (ACAPR), under the direction of the Prime Minister, as well as the Vietnam Business Forum (VBF), helping to streamline and reform Vietnam’s legal framework. EuroCham also published the 10th edition of its Whitebook in 2018, marking a decade of positive efforts to improve the trade and investment environment for domestic and foreign companies alike. In 2018, the Chamber’s strong growth continued apace, and it now counts over one thousand members – making it one of the largest foreign Chambers of Commerce in Asia. Speaking from the stage last night, EuroCham Co-Chairmen Nicolas Audier and Denis Bruetti thanked the distinguished guests for their attendance and paid tribute to all those who have made EuroCham a success, from previous Chairmen and women to the EU Delegation in Vietnam and EU Member State embassies and consulates. Piaggio won the Business Excellence award, recognising the business that has shown long-term growth and success, been a model of responsible and profitable business and made a real contribution to Vietnam over the last two decades. B Braun and Neovia were named as runners-up. Digitexx won the Best Entrepreneurship award, recognising the business that has been the most innovative, creative, disruptive and competitive, and overcome challenges to become successful in Vietnam. EZ-Land and CEL won second and third prize. Chi Linh Nguyen and Huy Nguyen were jointly awarded the title of Best Alumni, in recognition of their significant contribution to Vietnam after being educated in Europe. Belgo won the Best Start-Up award, which recognises the most innovative, enterprising and forward-thinking new European companies in Vietnam. Aqua Grow Greens and Wise Pass were awarded joint second place. Les Vergers Du Mekong won the Best Sustainability Initiatives award, in recognition of their work to adopt sustainable business practices in Vietnam. This was the most hotly-contested award of the evening, attracting the greatest number of entries. The EuroCham judges selected Deutcshes Haus and Concordia as runners-up.